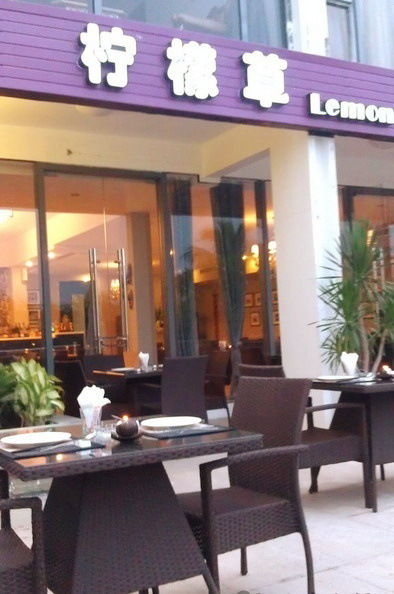 If you enjoy Thai Food, the newly-opened Lemongrass restaurant is sure to please! The restaurant, located on the second floor of a waterfront building, has already become a signature venue on Sanya Bay road. 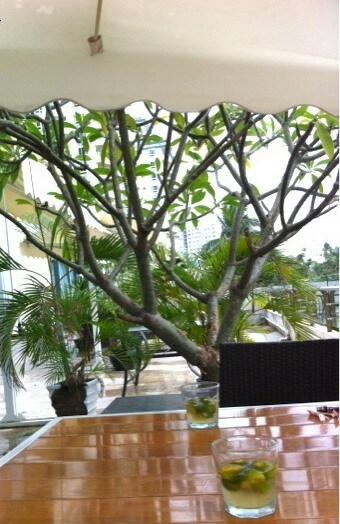 The charming restaurant offers some of the most authentic homemade Thai food in Sanya. The menu (in English and Chinese) features a wide variety of Thai dishes including many favorites such as curried crab, seafood and pineapple fried rice, coconut and chicken soup, spicy fried rice with minced pork, yellow curry beef, curry fish cakes, chicken wrapped in pandan leaves and tom yum kung. A special favorite of the group was the minced chicken with lettuce leaves. 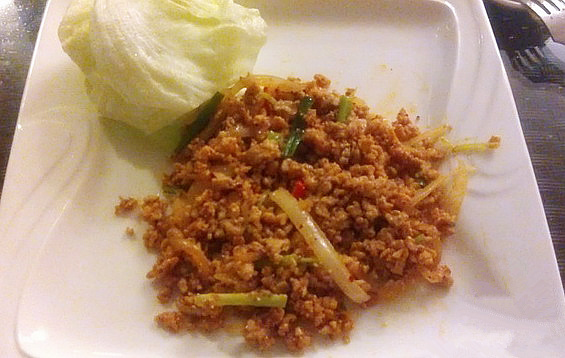 The meat was stir-fried with onion and shredded pepper, and served with fresh lettuce leaves. 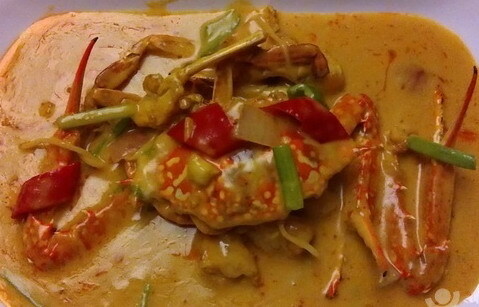 It delivered a spicy and flavourful taste experience you’re sure to want to enjoy again and again. The restaurant also offers some excellent house wines at very reasonable prices. 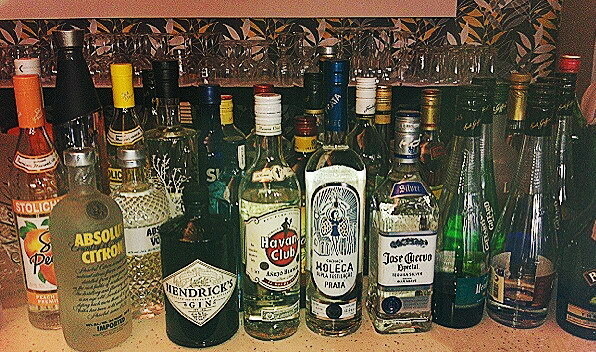 Guests can choose from a wide selection of cocktails as the owner Frank is very good at mixing drinks. 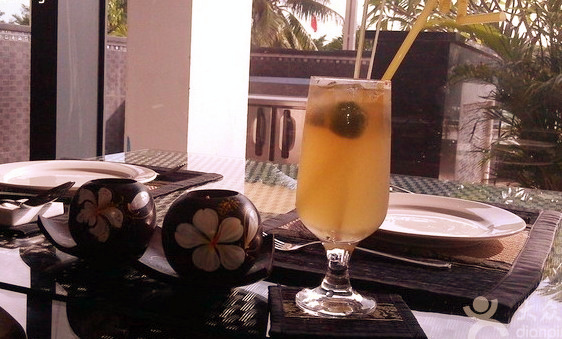 Soft drinks like kumquat lemon green tea and signature black tea are highly recommended by customers. 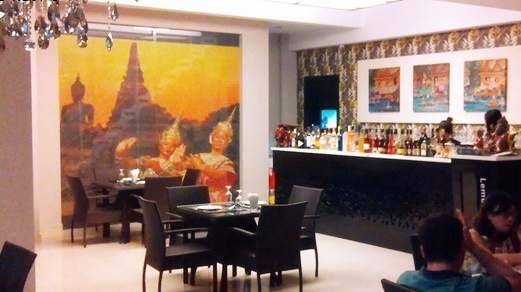 The environment here is clean and cozy, with some exotic Thai-style paintings and a spacious terrace overlooking the sea. The staff are helpful and pleasant, and they can communicate with foreign customers in English. So if you’re looking for authentic Thai food at a good price in Sanya, this is the place to go.